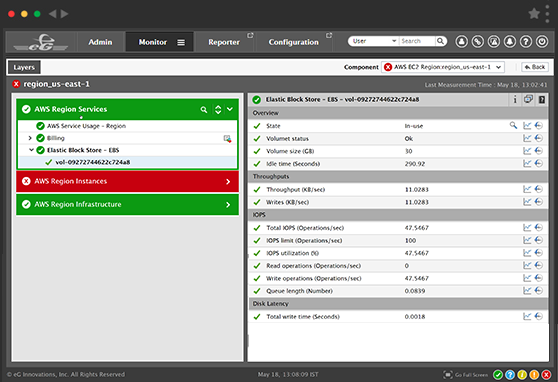 eG Enterprise is a unified performance management platform that monitors the health, availability and performance of your cloud and on-premises infrastructures. 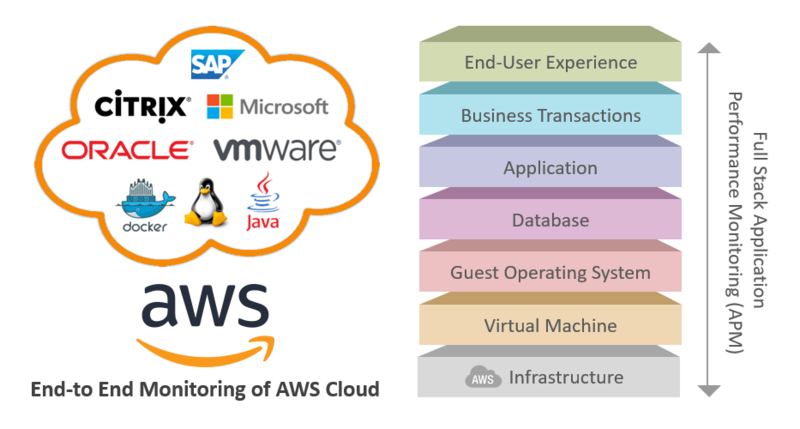 Tightly integrated with AWS CloudWatch, eG Enterprise allows IT administrators to track the digital experience of applications hosted on-premises and in the cloud, analyze application workloads and correlate them with the performance of the IT infrastructure – all from a single pane of glass. 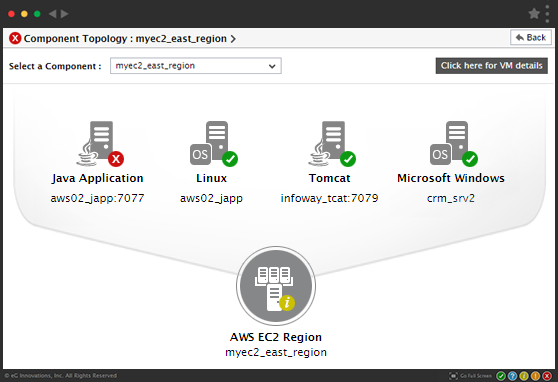 eG Enterprise auto-discovers instances hosted in different Amazon Web Services regions and tracks the usage and performance of these instances. 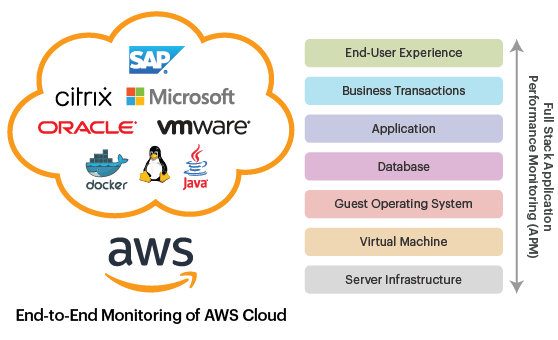 While resource usage levels of the Amazon cloud instances are measured by integration with AWS CloudWatch APIs, eG Enterprise complements this with inside visibility of the VMs using light-weight agents deployed on the VMs. The metrics collected are presented through purpose-built web-based dashboards for real-time monitoring. 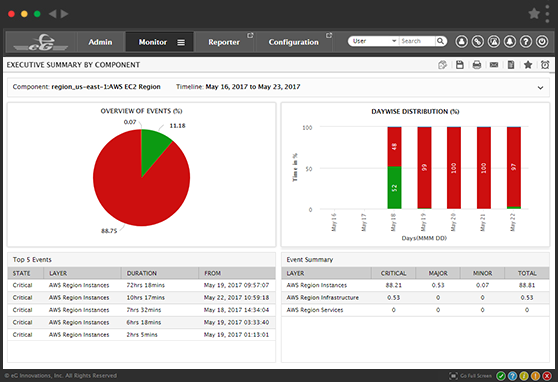 Historical analytics and out-of-the-box reports help analyze trends and forecast capacity needs. 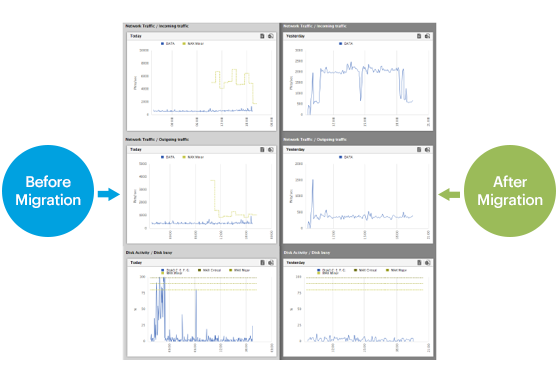 eG Enterprise provides agent-based monitoring of virtual desktops hosted in your Desktop-as-a-Service (DaaS) environment. 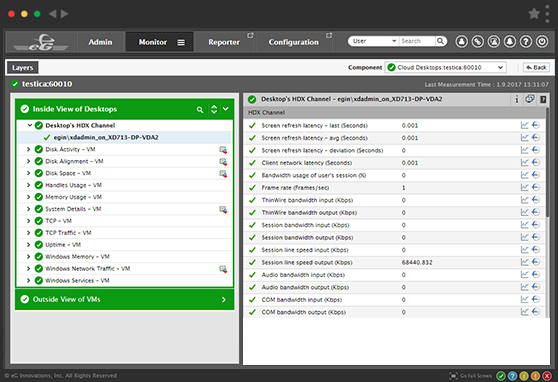 It dynamically discovers the VDI protocol (PCoIP, ICA, Blast Extreme, and RDP) in use and delivers performance metrics accordingly.